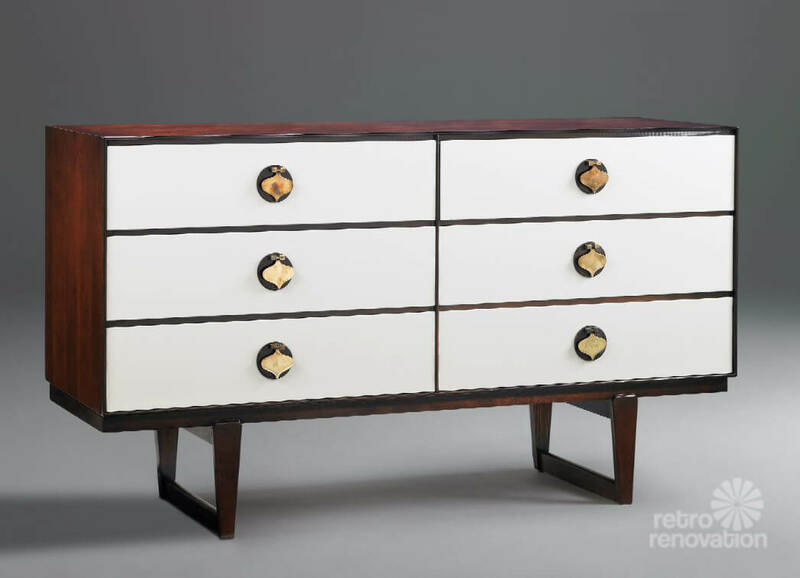 Above: In my original story about Stanley Furniture, I reported on a recent project by the company today to collect vintage examples of some of their beautiful old designs and completely refurbish them for sale at major industry trade shows. 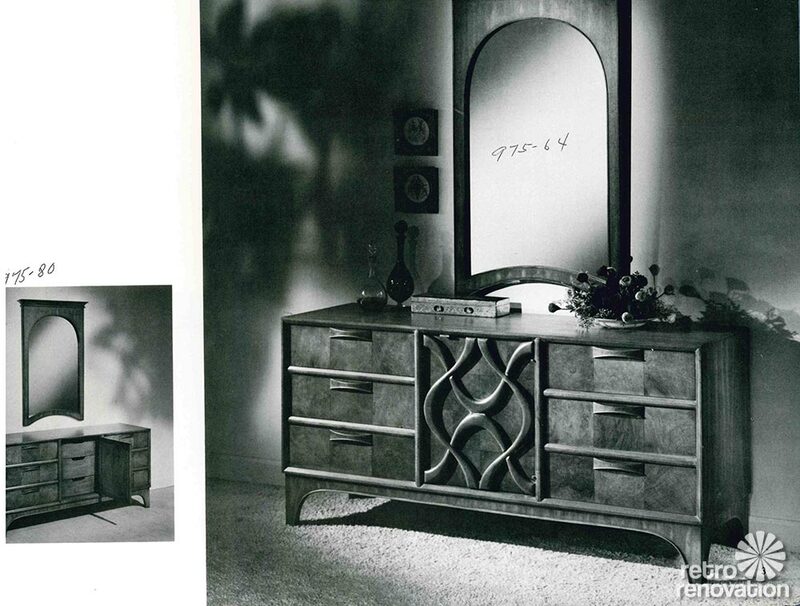 In this example, Stanley stained the Theme II dresser darker and lacquered the door and drawers. This is a popular look today. “The attitude of acceptance”? I am feeling a “Keeping up with Joneses” vibe from this copywriter. Resist! Resist! Resist! Damned copywriters! Above: Yet… How were they supposed to describe this? 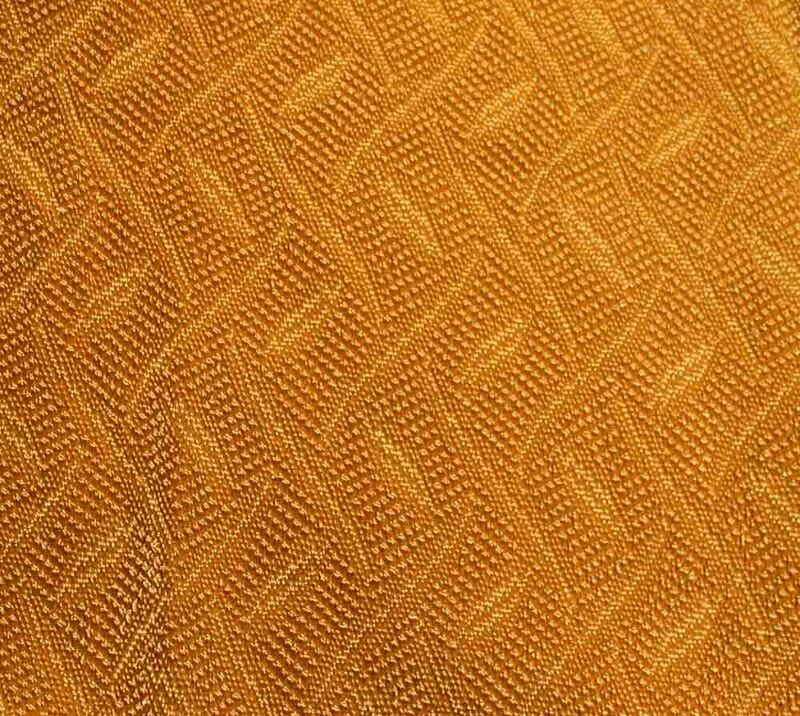 Knowledgeable readers schooled in the history of design, can you venture: Under what category are we supposed to classify this style design? 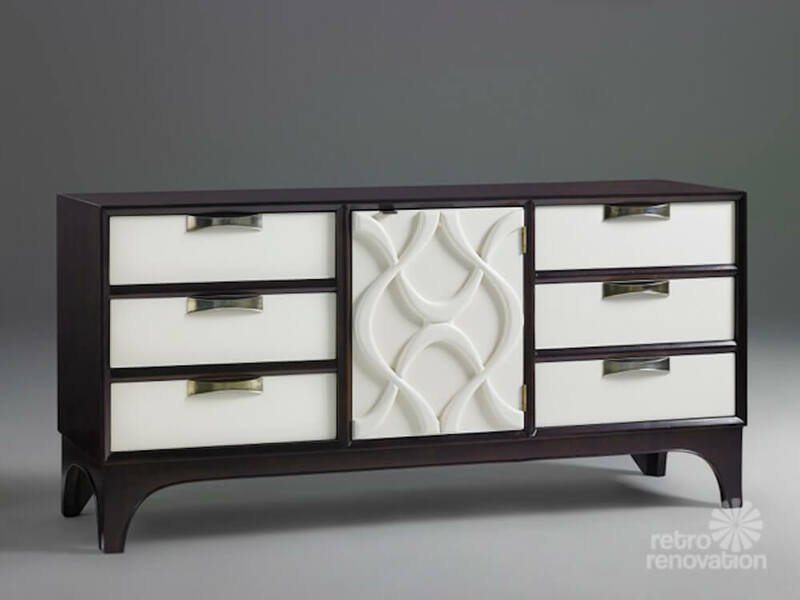 This line reminds me of Broyhill Brasilia… except it (Theme II) is done with a heavier hand. What fun! 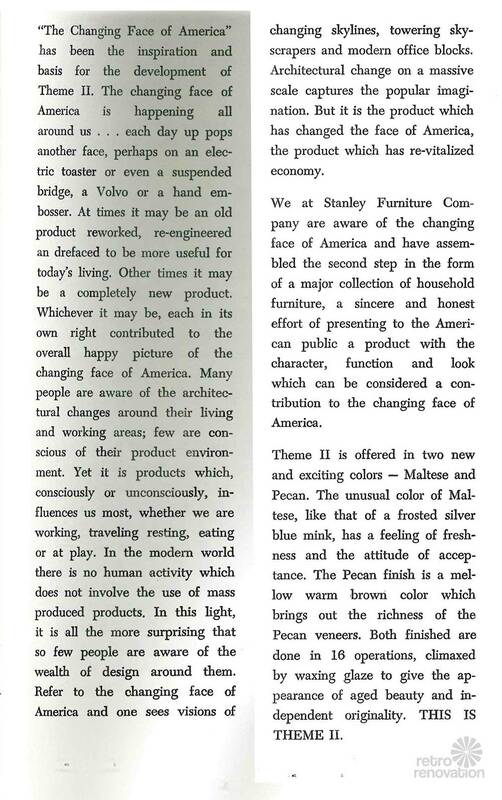 Many thanks to Stanley Furniture for providing these wonderful archival materials! 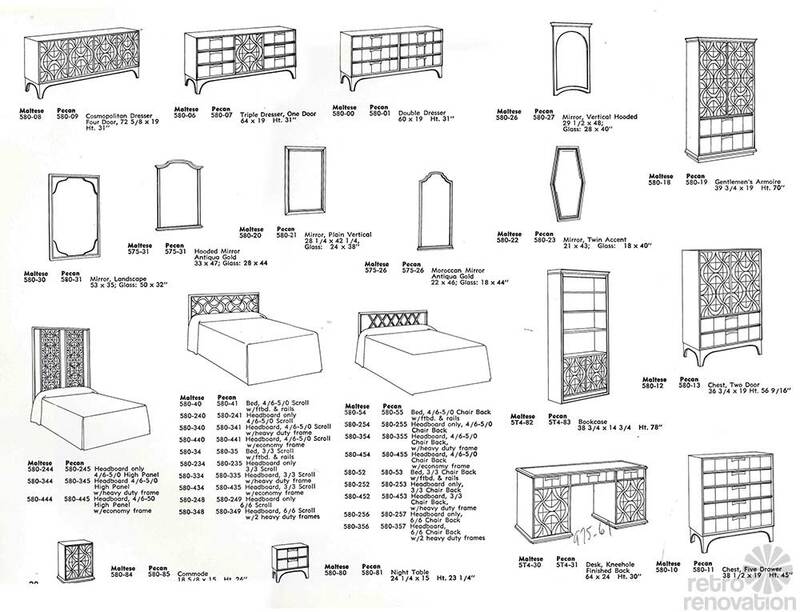 What a wonderful addition to our archive of vintage Furniture Catalogs! Tip to use slide show: Click on any thumbnail… it will enlarge… use arrows below image to move forward or back… you can start or stop on any image. 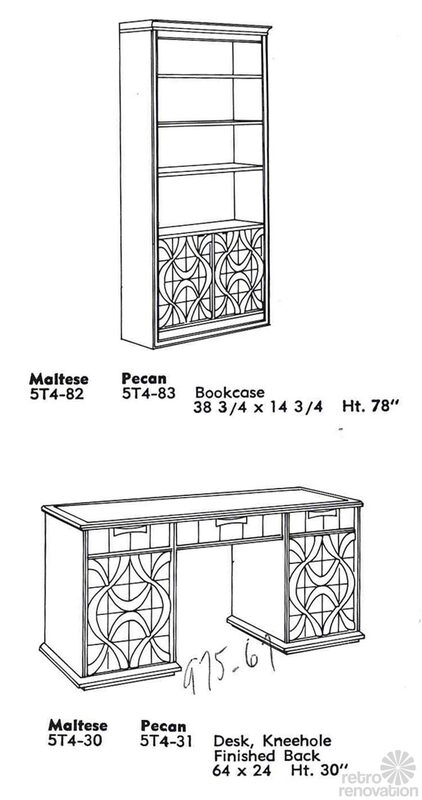 Pam – I scanned a big Heritage Perennian furniture catalog a few months back, I think I dropped you an email about it, but wasn’t sure if you got it (didn’t hear back, maybe I have an incorrect email.) It’s a 40 page brochure detailing their entire 1962 Perennian mid-century line – would you want copies to post and archive here on the site? Thanks for the reminder, Douglas. I’ll check my email. I get overloaded… Thank yoU! 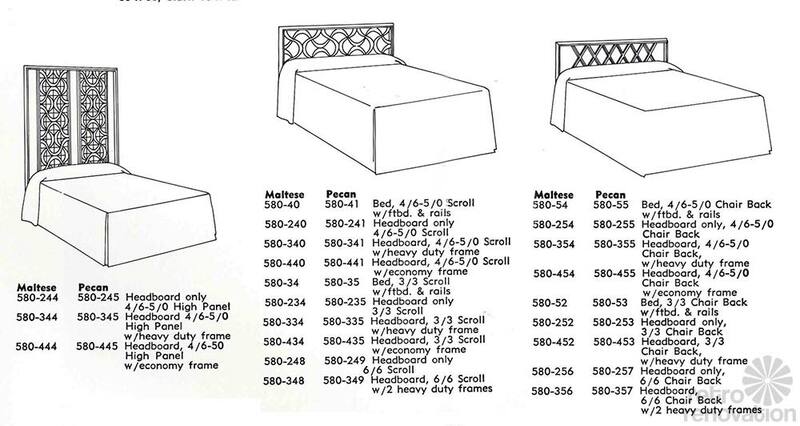 I have an entire bedroom of furniture. 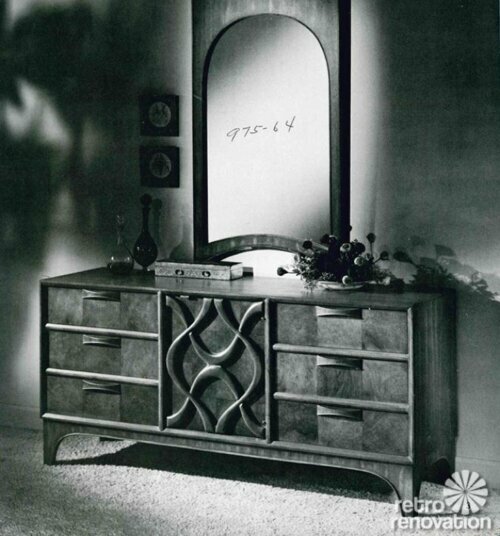 2 end nightstands, dresser and mirror, gentlemans armoire. 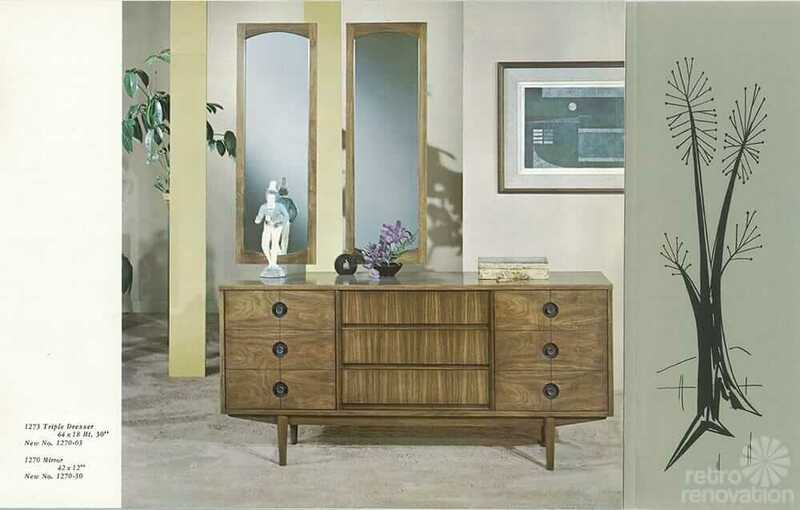 Stanley Furniture Theme II Maltese finish. All pieces are stamped and numbered. 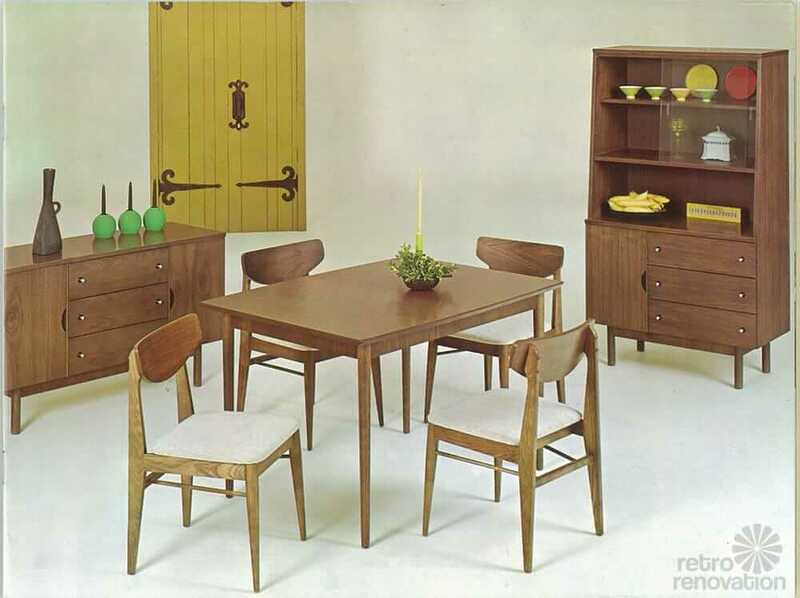 How do I find out when these pieces were produced? 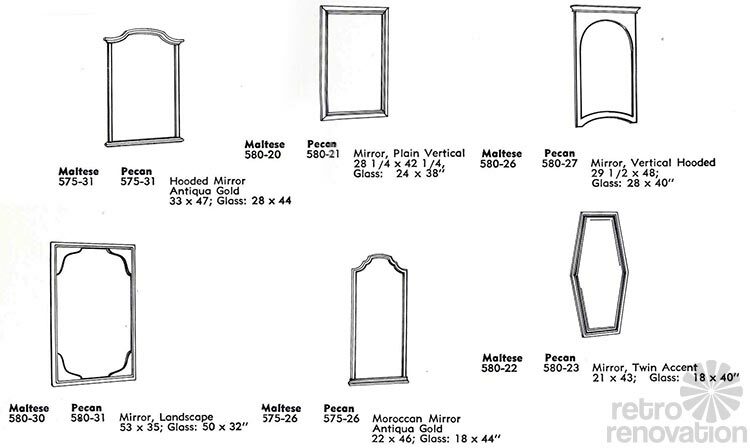 Hi, Angela, I suggest you reach out to Stanley Furniture directly to see if the company can help. Is this Stanley the same company that sold Stanley Home Products back in the day? Remember how-many products were sold door-to-door? Furniture with filagree on it makes me nervous when I think about trying to dust it. 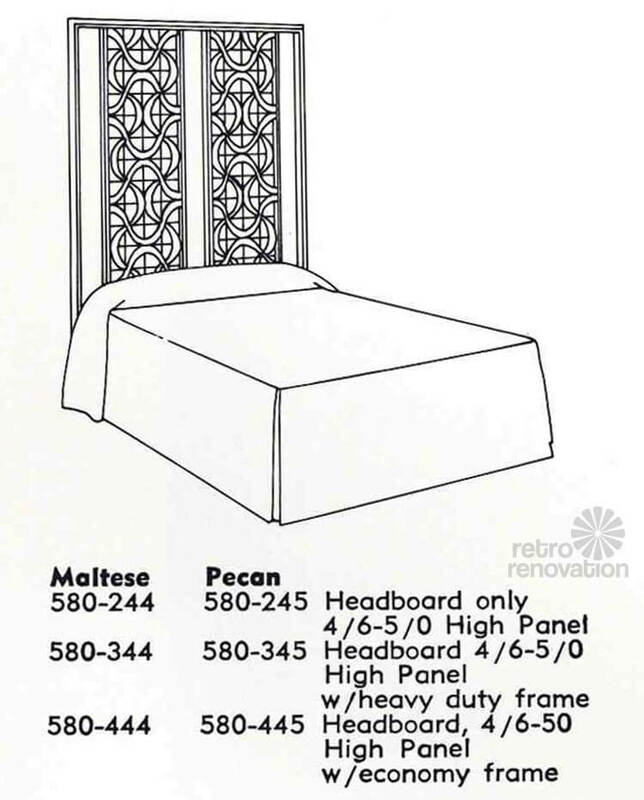 Same with dark-topped furniture. Thank you for the resources here! 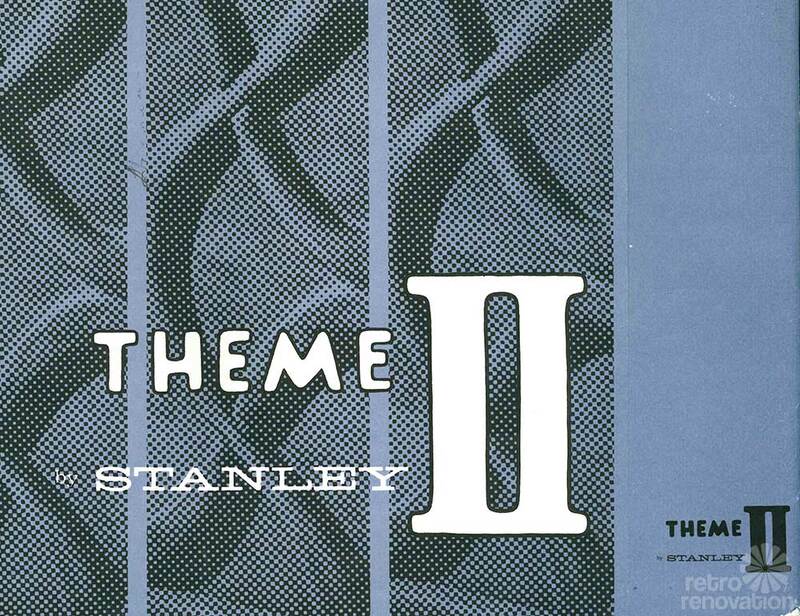 I have the Stanley Theme II Chest Two-door, and am in the final steps of stripping off someone’s latex paint job over the entire piece… even the original hardware. 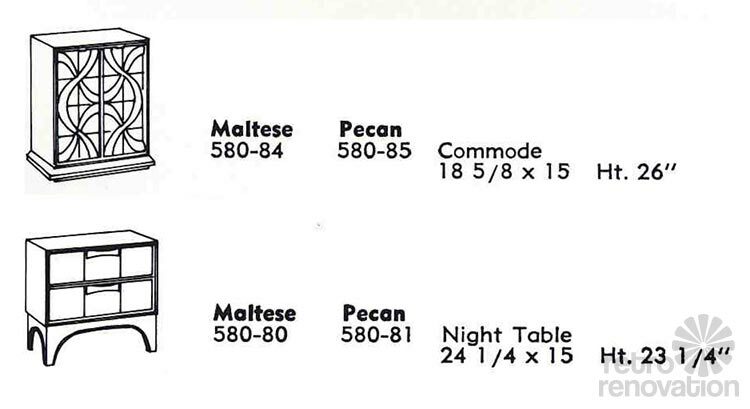 The wood is solid pecan. They just don’t make pieces like this anymore. The swirls are fabulous and solid, yet the design is intricate and delicate. The interior is roomy, functional, and feels huge! It is definitely a labor of love restoration process. I even reached out to Stanley to see if they had any photos or resources but they had zero. Again, many thanks!